My father will be really proud and now I only have one wish to fulfil that is to become a nurse which is my mother’s dream. Mitchelle Mudaliar and Roshil Ram have two things in common. Their fathers were old scholars of Batini­kama College and now they have been chosen to lead the student body. Mitchelle, 18, of Siberia, Labasa, said she wants to make her father, Salesh Mudaliar proud by becom­ing a doctor which is his dream. “My father is the sales manager of Siberia Hardware Limited and he has always worked hard so that I can get educated and in the hope that I will be able to take care of myself,” she said. “I wasn’t surprised to be the head girl of the school since I have lot of faith in God. The eldest of three siblings said she’s learnt that family values were very important. 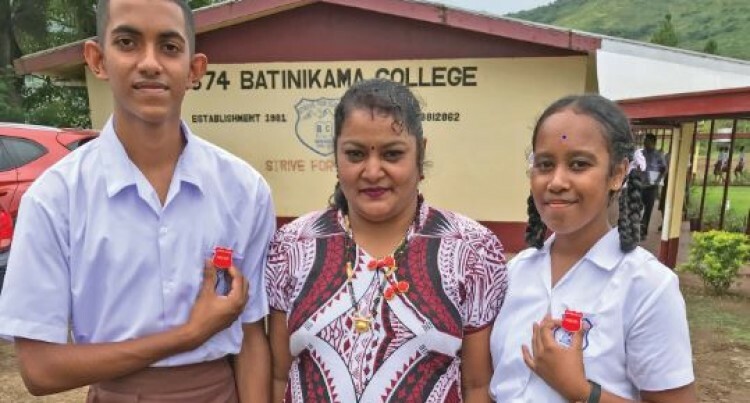 Roshil, 17, of Batinikama, Labasa said: “I was surprised to be chosen as the head boy because the trend in school is that whoever was the deputy head boy will be promoted. “I was only a senior prefect last year. “My father will be really proud and now I only have one wish to ful­fil that is to become a nurse which is my mother’s dream. “I am really excited and ready to help my fellow students,” he said. His mother, Sneh Karan, is a kindergarten teacher at Labasa Sangam Primary School and his father, Rohil Ram, works for the Sugar Research Institute. The deputy head boy is Rohan Nath and the deputy head girl is Rishika Narayan.